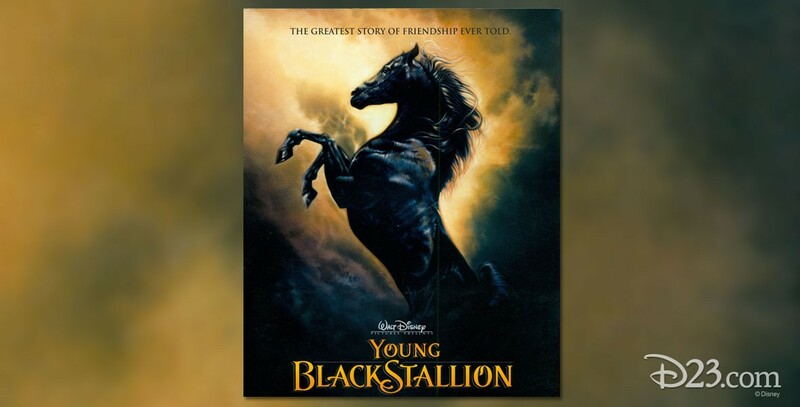 Young Black Stallion, The (film) This prequel to the 1979 classic film presents the horse’s adventures with a young girl named Neera, who has been separated from her family in Arabia by World War II. Left alone in the desert, she befriends the wild colt, which she names Shetan (“the devil”). Once reunited with her grandfather, however, Neera remains haunted by images of the “lost horse of the desert,” one of a few stallions of legend, rumored to be “born of the sands, sired by the night sky, drinkers of the wind.” Neera devises a plan to race the wild Shetan in the annual horse race and help restore her grandfather’s reputation. Staking everything on the race, Neera finds her iron will and courage is combined with Shetan’s untamed power and determination. Released on December 25, 2003. Directed by Simon Wincer. Stars Richard Romanus (Ben Ishak), Biana G. Tamimi (Neera), Patrick Elyas (Aden), Gerard Rudolf (Rhamon), Ali al Ameri (Mansoor), Andries Rossouw (Kadir). 50 min. Disney’s first dramatic feature filmed in 70mm specifically for IMAX and other large-format theaters. Based on the book by Walter Farley and Steven Farley. Filmed on location in Namibia and South Africa.